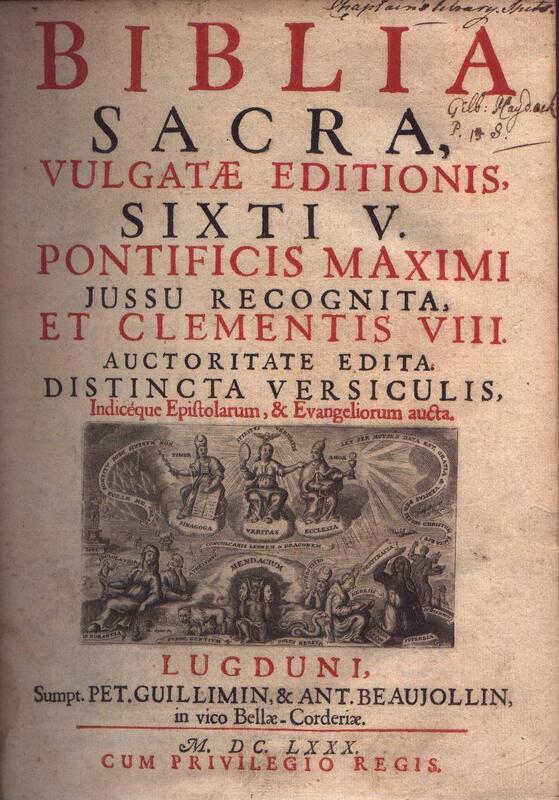 This questions is directed at all of my Vulgate-loving readers out there: Do you know of a good book or online resource that goes over the history and development of the Vulgate? I would really like to do a little more research on it. I am not interested in a work of apologetics for the Vulgate in comparison to the modern translations, however, since I am in no need of being convinced of this. I have been desiring to do some reading on the issue for a while now, more so since a friend of this blog gave me a fine book on the importance of the Septuagint, Timothy Law's When God Spoke Greek. Thank you. That new book by Houghton looks very good. Yeah, you'll have to let us all know what you discover! A good book for the creation of the Vulgate is Megan Hale Williams Book The Monk and the Book: St. Jerome and the Making of Christian Scholarship. University of Chicago 2006. A good read. Now here is a point, noted in Thomas Scheck's introduction to his translation of Jerome's Commentary on Matthew - that "of 104 incidental quotations [of scripture]only 33 harmonize with the Vulgate text, while the other 71 are definitely different." I'm a bit curious about this: why does an interest in the Septuagint prompt you to research the history of the Vulgate?. My inquiry back to other textual traditions started way before this book on the LXX, however, it did bring out some interesting issues surrounding these issues. I am in no way denying the importance of the MT, DSS , or other texts that help to create those all important critical, eclectic texts from which most modern translations are based upon. However, I am investinging, both through study and prayer, the received tradition of the Vulgate. That is all. I am not sure where this will lead. I must be honest in saying that one of my favorite bibles is the Knox and I have moderate proficiency in reading Latin, so that does play a role as well. I think Bible research, in any of its forms, is among the more interesting and fulfilling intelectual activities one can undertake. I was just asking because, at first sight, your decision seemed counterintuitive. I mean -as far as I know- St. Jerome was the first christian translator to turn away from the Septuagint in favor of Hebrew OT manuscripts. He moved to Judea, and contacted jews fluent in hebrew, in order to do particularly that. That is the specific reason why I was asking. I understand where you are coming from now. Thanks for the clarification.